Industrial Outdoor Kitchen & Living Area » Industrial Outdoor Fire PIt with Bench Area. These features where designed and built by Leasure Concepts. The cantilever bench supports Cypress beams as the bench area. 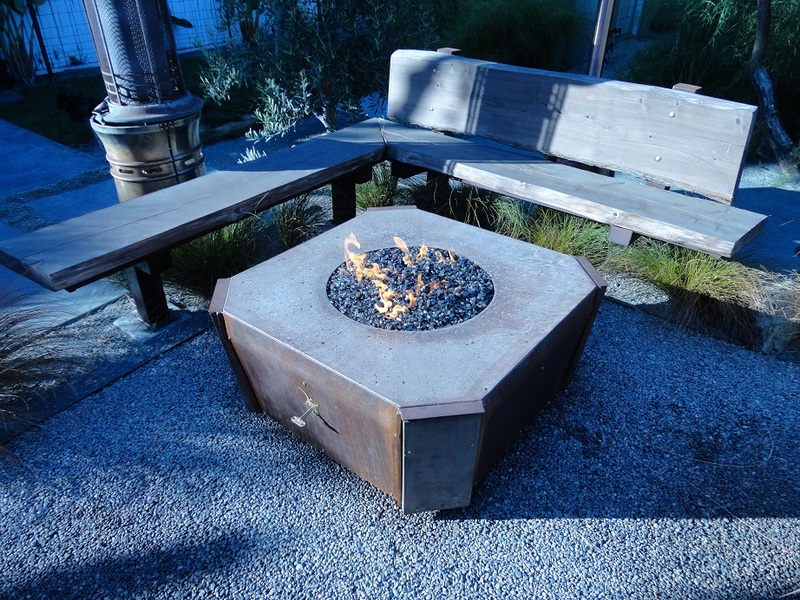 The Fire Pit has rusted steel panels with a polished concrete countertop supported by custom copper feet. Very unique! This entry was posted on Saturday, November 2nd, 2013 at 7:35 pm. It is filed under . You can follow any responses to this entry through the RSS 2.0 feed. You can leave a response or trackback from your own site.